When one truly understands the nature of each sign it’s much easier to comprehend another’s total spectrum of behavior. In a perfect world, we would all express a well-balanced blend of all 12 of the zodiacal archetypes. In the real world, however, most of have an emphasis on 4 or 5 signs and tend to favor our Sun sign to a great degree. The archetypes of the 12 signs are specific energy patterns and need to be expressed to their fullest in the most pure form possible. Naturally, each sign can be ill-represented or even twisted and deviate from its pure intention, if you will. This is why it behooves us to know about the true nature of each archetype. Aries – is in a hurry. Aries is made to go! That simple. It is not made to wait, delay, be cautious or think of other’s needs. It sees something – it wants it – it goes after it. Their beauty is simplicity and innocence. We must understand their impulses. They don’t go from point A to point B, bypassing you in the middle in order to slight you or snub you. Theirs is the symbol of the Ram. This is no coincidence. The Ram head-butts its way through life’s experiences. Sometimes innocent bystanders get bruised in the process. These strong archetypal impulses are not going to be denied. If they are, the Aries dies in some fashion – and, we can’t have that. There are few things sadder, astrologically speaking, other than an Aries native who has been taught to squelch their own fire. Aries is not going to shoot itself in the foot so that you can get what you want – they take care of themselves because they have to. They have things to do, so they do it. They can’t slow down. They act impulsively. This sign does not move with pre-thought or caution – it just goes after it. Moving in this fashion keeps the Aries archetype light and fiery. They don’t think of themselves as innocent – they know nothing else! This child-like sign is precisely what is necessary at this introductory stage – pure uncomplicated being. Taurus – Let’s slow this thing down a bit! Taurus is in nooo hurry. This powerful Earth sign inherits a world that has been too frenzied. Taurus instinctively understands that the Arian wind will blow us all away if it is allowed to continue unabated. Now, its instinct is to stay put, dig in, and moor itself to the roots of the land. If that tends to make the Taurus boring, so be it. They’d rather watch reruns on TV than subject themselves to the chaos of a frenetic lifestyle. You can’t hurry a Taurus because they are busy erecting a permanent home and they will not allow another to alter their sure and steady pace – like the tree Ents from Tolkein’s Trilogy. These things take time. Because of this staid sign, we have a basis upon which to center our actions. As with all Earth archetypes, they will atrophy without enough change and movement. Taurus’ tree can’t survive with only roots. Its limbs must reach upward and outward towards the Sun for its life-giving nutrients. That is their challenge. This sign feels content with jobs that are repetitive and consistent. Other signs would blow a gasket confined to those limitations. If you are a shoe salesman, don’t bother stopping at their door. “Comfortable”, “old,” and “worn” shoes are their number one preferences. Gemini – Things change again as we go from sign to sign. Gemini’s essence couldn’t be farther from the nature of the Bull. The Twins welcome change as much as Taurus abhors it. We’ve discussed how this sign is accurately symbolized by the butterfly flitting from flower to flower. That’s Gemini. It’s not made to sit still, or for that matter to “take a stance.” Taking a stance is rigid, limiting, and just plain no fun. Yes, it can be irritating trying to keep this sign on subject, but there are just so many fascinating aspects of life; how can they waste an entire sentence on one topic? The changeability of the Twins reflects their considerable flexibility and inexhaustible curiosity. You can bark up an elm tree if you want. Bark and bark and bark. But still, it remains an elm tree and won’t become an oak. It is so common for us to try and try to change someone else’s spots! It’s just not going to happen. With the case of Gemini, it’s very clear to see – they are childlike and that’s just who they are. They are not behaving in a particular way in order to annoy anybody. It’s just the way it is. Gemini is not Taurus, and vice versa. The Twins are not going to stay put when such resoluteness would be their ticket to boredom and stagnancy. Of course they’re going to change their point of view constantly and be labeled as being fickle. There are just so many points of view available; why should they be forced to choose just one? Cancer – This archetype is all about feeling safe and being emotionally secure. It doesn’t matter if others have to constantly reassure Cancer; that’s what they need to survive this frequently unfeeling world. Cancer commonly projects its hypersensitivity onto others. This is what makes them so sensitive to your needs. At the same time, this hypersensitivity exaggerates the dangers that they have to constantly face. To this sign, the world can be a dangerous place and one that must be guarded against at all costs. Yes, they’re going to stay close to their family and nest and that’s just the way it is. Usually, you’ll not find them flailing about with a wild array of friends (unless the Moon placement differs.) Staying close and safe is their pressing need. They often come across as being dependent, that’s just the way they are. And, if you meet their needs, they most likely will meet yours. Cancer needs understanding and compassion. One must be careful not to get drawn into codependency with this sign. They are usually much more capable of dealing with life’s stresses than they think; however, they have to learn this hard lesson in their own time. You’re just not going to bowl over a Cancer. If you are considered to be a threat to this sign, then expect their door to be closed to you. When you are tender inside, you simply must protect yourself (and yours) from the outside world. Leo – Leo is infused with a strong sense of self and seeks recognition, appreciation and respect. That’s what they need. Leo has a burning necessity to validate itself, and the way they do that is by expecting and demanding veneration. Leos are not going to put themselves down or be quiet as they are a “fixed-fire” sign. The flame of this sign burns constantly and brightly. Smaller selves might want to hide or dim their internal light – not Leo! Lions are confident, or at least act that way. In either case, that’s truly what they seek – confidence. If you are not going to respect Leos for who they are, you’d best move on for both of your sakes. Ruled by the Sun, they are here to shine! What would we all do with a timid Sun? Leo is the most colorful of the zodiacal ring. We must appreciate their broad spectrum of expression. This is what they do. They can’t collapse their peacock plumes into a neat, compressed, little bundle. They are meant to fan those feathers and display life’s colorful palette! Leo’s passion cannot be subdued; theirs is an exuberant world. Yes, this can really bug more laid-back signs, but that’s simply their quintessence. Their eye is for detail and they are seldom wrong when they find a “mistake” or blemish. You simply cannot make a Virgo comfortable with things that are out of order or are incomplete. This is why so many of them end up in the medical/nursing field; they need to fix people. Thank God. As with all signs, they need to develop the exact opposite traits, but it’s much easier said than done. Can you imagine what the Virgoan impulse must feel like? They exceed expectations in order to do what is “right” because they care that much. This archetypal impetus comes from Chiron. It certainly does not come from being an earth or mutable sign, and certainly not from the traditional ruling planet, Mercury. Virgo definitely needs to learn to relax and not be so obsessed with being productive. This is one of their major battles. No, you cannot criticize them – not even “constructively.” They hear it enough from within. It’s a tough sign to be; step aside and let them continue to put a spit-shine on everything that’s dull. Libra – Everything is beautiful… at least it should be. This Venusian sign is all about grace. Yes, Librans cares about how they look, and as a matter of fact, how everything looks. Life’s allure should be reflected in all things. Libra’s movements are smooth, tactful, and in sync with social graces. Don’t expect them to act quickly and decisively. Their strength is in their ability to assess situations and give equal consideration to all sides – the Scales. This archetype believes that life is an art-form. No, they’re not going to go to the mall wearing sloppy clothes. Yes, they’ll keep their appointment for their stylist and manicurist each month. They won’t face you down with an ugly shouting match. In every way, this classy sign wants decorum used in all of life’s exchanges. True, they do have a hard time making up their minds, because to do so, is to favor one side of the argument. That’s not for them. The symbol of the Scales is symbolic of balance and fairness. Libra feels a great need to fit in and be accepted socially. It’s everything to this sign to be savvy and smooth. Libra is lithe, gently curved and sleek. This seventh sign is synonymous with finesse. If you want to go camping and roughing it, they’ll meet you at the Ritz for a drink when you’re done. Scorpio – What a sign. Known for fixed feelings, Scorpios know how they feel and you’re not going to change that. 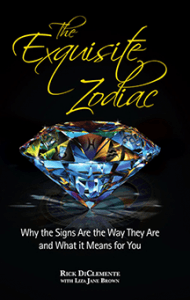 This intense section of the zodiac yields souls who are passionate and courageous. If you want to know how they feel, they’ll tell you. And it won’t be in lukewarm terms either. Typically, they’ll love you or hate you – one of the two. They expect you to be as devoted to them as they are to you; there is no happy medium. That was for Libra. Scorpio prides itself on delving into life’s challenges, fully engrossed. They need to become one with their object of affection and this serves to turn up the heat. While most people long for intimacy, Scorpio dies on the vine without it. Don’t expect this impassioned archetype to cool off – to be mild – to forgive and forget – or to let things slide. Scorpios that vibrate to a higher octave only know how to do one thing, i.e., burrow into life’s marrow. If you don’t have an affinity for the heat in the kitchen, then you’d be best retiring to the cool breeze of the porch. The fires of emotional challenges keep this sign sharp and strong. No other sign faces itself more directly and boldly than this one. Self-honesty is their strong suit and if you expect them to ease up, you’d be happier with a meeker soul. If you are going to be with them, you’re just going to have to face your own demons head-on. Sagittarius – Speaking of contrast… Sag wants it light, loose and playful. Usually most people get along well with the sign of the Archer. A truth-seeker, this sign is excitedly interested in broadening themselves. Travel, philosophy, learning; any way to expand their horizons is for them. If you want to live in a small, careful world, look elsewhere. If you expect them to hold their tongue or keep their opinions to themselves, well, you’re in for many blunt surprises. This fun-loving sign wants to spread its wings and enjoy life! Their ability to let things roll off of their back is refreshing and renowned. Don’t look for this sign to cross the “t’s” and dot the “i’s.” Leave care to the careful signs. Sagittarius has a somewhat devil-may-care attitude to say the least. This ninth sign of the zodiac is not comfortable with downers or pessimists. If this footloose sign feels that their company is too dour, they’re out of there. We cannot expect this sign to buckle down with self-limitation and iron-clad discipline. It’s just not them. Honesty is such an impulse for this sign that even if it is delivered in a blunt manner, then so be it. Capricorn – If you need to be sure of everything, well, you’re in the right place! Certainty, specificity, caution, and surefire control is the M.O. with this archetype. That’s what they do – they make sure. Don’t expect them to loosen up; they usually can’t. Do not look to them for flippancy, for slippery tongues, or for frivolity. It’s not for the Mountain Goat. There is no place for flippancy or carelessness on the high peaks of a mountain. Capricorn is possessed with a great sense of duty and responsibility to the world. Their fatherly instinct is to guarantee that the chicks get fed. Their domain knows no carelessness, recklessness, or lack of thoroughness. You can count on this sign more than any other. It is not easy for this obedient sign to color outside the lines. If you are looking for a free spirit, then look to the fire or air signs. If, on the other hand, you are looking for dependability, consistency, and steadfastness; pick the Goat. While other signs are cheerier and more cavalier, Capricorns pride themselves on their self-control and restraint. This is what Capricorn does. It carefully goes about its proven routine keeping things nice and steady and controllable. Rock-solid. Aquarius – This free-spirit is the epitome of individuality and free will. Never lay your expectations on them. They don’t even know what the word expectation means! If you want to predict Aquarian behavior, well, spin the wheel! Don’t tell this sign what to do – they won’t even hear you. They only know the sound of their own distinct drummer; no matter what song you hear. The Aquarian archetype is an extremely evolved design and is greatly under-appreciated. They wrote the book on true friendship. The Water-Bearer follows their fresh spirit in order to share all of life with everyone. They admire and appreciate the great diversity of unique souls. Don’t look to them to follow or be conservative, and never pigeon-hole them – they’ll constantly surprise you. This is how their spaceship maneuvers. They are free and intend on staying that way. If you think you’re going to get an Aquarian to lock down their behavior in order to comply with some outer social pressure; think again. Because Aquarians are so tolerant of others, they naturally generate mutual respect. This next-to-last sign is always waiting for the rest of civilization to catch up with them. Their realm is usually 30 to 40 years ahead of the pack. They live for the future and ideal possibilities. If you don’t want to work with them to make a better world, then please step aside. Pisces – The hardest sign for last. Where can one even start? Pisces floats with the wind. No, they might not show up for tomorrow’s meeting on time – they might not pick the most compatible partner – they don’t seem to act with any kind of inner consistency. Why? Because they’re just not made to do so. They are called by the spirit of life. It’s that simple. And that very same spirit knows its own truth and is not subject to Newtonian law, parallelograms or any instruction booklet. The number one sign for unconditional love, Pisces can’t see any difference between any two people. We’re all “God’s children” to the Fishes and the undifferentiated sea is home for the greater soul. Don’t try to pin Pisces down. Did you ever try to hold a fistful of water? Don’t try to stop their daydreaming. Their dreamworld is probably much more real to them than what’s on the blackboard. Pisces are made to love one another – a trait we all could use much more of. Pisces is not made to criticize or segregate. Their nature is to stay close to God’s will or universal intention, however you wish to say it. They do not live in accordance with worldly laws or expectations. The fabric of Pisces is ephemeral, amorphous, and mercurial. They drift with the tides. Don’t expect them to be definitive or rational or imperious. Perhaps we’re just too busy looking at a map of how things should be instead of picking up intuitively on how things really are. It is said that everything will be O.K. with you, as soon as you are O.K. with everything.